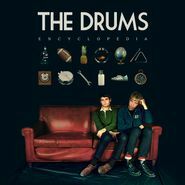 Conceived by its members as the fusion between a synth take on The Sound of Music and amelodic No Wave, The Drums craft compellingly tumultuous music on Encyclopedia. Thrilling opener “Magic Mountain” is about as far from The Drums’ first album and its sunny Cure-at-the-beach vibe as you could get, its highwire vocal doing battle against fraught guitars and theramin. You can hear that Sound of Music thing on songs like “I Hope Time Doesn’t Change Him,” a girl-group-style ode to drifting apart with shooting-star synthesizers and misery-laden guitars. “Kiss Me Again” feels a bit like The Drums’ earlier work, particularly the more frantic Portamento, but the newness comes in how adventurous founding members Jonathan Pierce and Jacob Graham allow themselves to be melodically while remembering how great they are at writing hooks like “kiss me again” sung out into infinity. 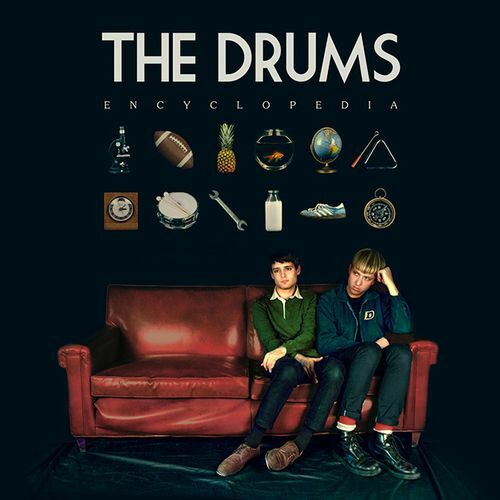 Encyclopedia is definitely more of a bummer record, but there are some really nice classical melodies buried under the mopeyness and experimentation—“Break My Heart” is a great Brian Wilson-style lament, even as it slowly struts off the pier. And when they go full force on the “Face of God,” it’s like a surf song about a tidal wave, as its vocals suggest tragedy and its bassline and synths creep too far upward to tingle at the back of your neck. It’s like the aural equivalent of losing your innocence and becoming bitter, reminiscent of Weezer’s evolution from The Blue Album to Pinkerton, full of catchy tunes that are chewed and spit out. So Encylopedia stings a little, but in a good way.